It is tough to put final number on the total revenue of the global concrete cutting industry, mostly because it is very difficult to collect the numbers, but for 2018, PDi has given it a go. 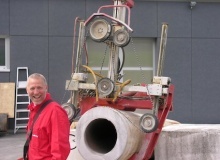 Ernst Siegenthaler, more commonly known simply as “Sigi”, is a well-known figure in the global professional concrete sawing and drilling community. In September 2017 he founded his own consulting firm operating in the field he has worked in for the last 30 years. Tell me, please, how you do it? As you know, I try not be too absorbed by issues in the UK in this column because this magazine goes worldwide and, therefore, what’s happening in Britain doesn’t necessarily always resonate with fellow professionals all around the world. If you are reading this annual report on diamond tools, it means that Xmas is round the corner. 2017 turned out to be a challenging yet rewarding year for the concrete sawing industry. At the year’s turn, the manufacturers look west getting ready to impress attendees of the next World of Concrete with their novelties. Andrei Bushmarin is running through a list of the Xmas gifts that diamond tool suppliers have prepared for their customers. In Thailand the concrete sawing and drilling contractor C.S. Applicator has broken through a bank vault’s concrete wall with equipment from Tyrolit. The vault is in a bank in the Roi-Ed province and has changed ownership. 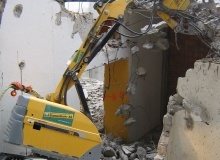 The new owners needed to renovate the building and extend the size of the vault by dismantling the old front wall while keeping and reusing the vault’s safe door. 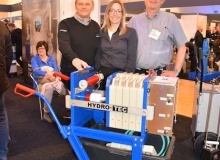 Hydro-Tec, one of Germany’s most established and respected suppliers of concrete sawing and drilling solutions, hails from Schwabach near Nuremberg. It was there, in an abandoned army barracks that Roland Kirsch and Jürgen Kimmel set up the company in 1997. Andrei Bushmarin reports. It’s not only manufacturers that play an important role in an industry’s development. Strong distributors also have a major impact in a region or a whole country. 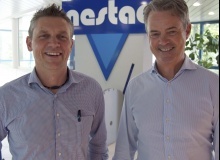 There are many examples and one is the company Nestag in Eptingen, Switzerland, which now is part of the Tyrolit Group. Jan Hermansson reports. Diamantbohr is Europe’s biggest concrete sawing and drilling contractor and will celebrate its 45th anniversary next year. It has a very strong foothold in Switzerland and is now setting its sights on increasing its presence in Germany. Jan Hermansson reports. The world is shrinking and concrete cutting tasks are expanding. Being a concrete cutter was previously regarded as local employment. But now many concrete cutting operators and contractors often move around the world taking their knowledge and expertise with them. One of these is Andreas Kuelz who moved from Karlstad, Sweden to Germany and then Canada, where he is currently a Mentor Operator with Graff, which is part of the Penhall Group. Husqvarna Construction Equipment Husqvarna Construction Products launched a number of new products at World of Concrete in Las Vegas earlier this year. Intermat with World of Concrete Europe became the first show in Europe where the new products where displayed. 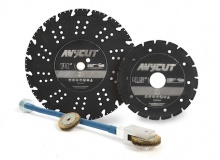 In terms of diamond tools the Diagrip system has been extended with new products. Germany is one of the worlds trendsetters in concrete cutting and drilling. Its trade association, Fachverband Bohren und Sägen, is the largest in Europe with the membership of almost 700 companies. Carving out a niche in a market as saturated as this is a formidable task indeed but SSB Fidan has solved it. Or rather, they have drilled their niche out. Andrei Bushmarin reports. Despite being in the diamond tooling business since 1981, the company Klaus Eiche has kept a low profile. There was a good reason for that: private label manufacturing that accounted for the lions share of its turnover. But if you have a real know-how in your possession, sooner or later you would want the world to know about it. Andrei Bushmarin visited Eiches plant in Denzlingen, Germany. 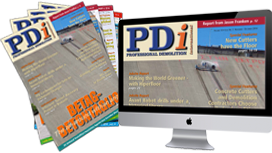 PDi 4-2014 featured Tyrolits premises in Austria and continues in this issue with the manufacturers development of machines and equipment for concrete sawing and drilling in Pfäffikon, Switzerland. PDis Jan Hermansson reports. 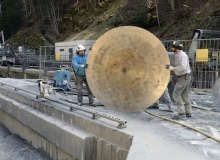 Betag-Betontaglio is one of Switzerlands biggest and most experienced specialist contractors. Having clocked up 35 years in the business of concrete cutting and selective demolition, the company, based in Cadempino, is now going stronger than ever. PDis Andrei Bushmarin reports. 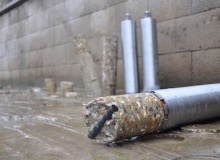 When the International Association for Concrete Drillers and Sawers IACDS held its annual meeting in 2013 the association received sharp criticism from a few member associations that too few results are available for the concrete cutting market can benefit from. It was decided to call for a separate meeting to discuss the future of IACDS. This meeting took place in Amsterdam in the autumn of 2013.